An Ohio grandfather has been dubbed a hero after he tripped up a young armed suspect who was attempting to run away from police.Video footage shows the brave man, named only as Bill, quickly step backwards and stick his leg out behind him as the suspect, identified as DeShawn Briggs, sprints past – causing him to fall to the ground. A police van then descends on the scene and an officer jumps out of the moving vehicle moments later. 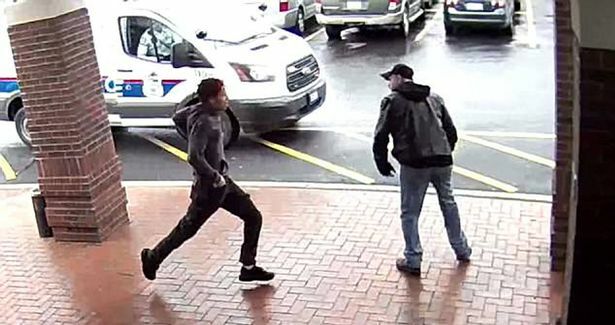 Columbus police posted the footage on Facebook on Thursday, and hailed Bill for his “fancy footwork” which enabled them to detain the suspect – who was holding a gun. Bill was at west Columbus library with his granddaughter on April 3 when he heard police sirens and officers shouting “drop the gun”. He says he turned around to see a man with his hand in his waistband running towards him, and officers were lagging behind. The quick-thinking grandfather then made the brave decision to trip the 18-year-old up, in a bid to help police detain him. Police confirmed a Glock 9MM pistol containing 29 rounds of bullets was recovered from the scene. No one was injured in the incident and the suspect who had “a lengthy criminal record” went back to prison, according to officers. 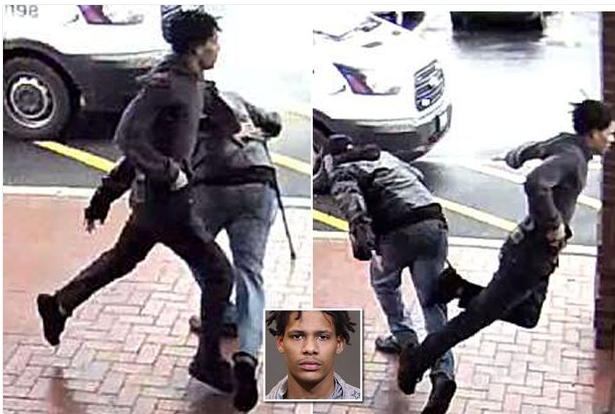 A post issued on the Columbus Division of Police Facebook said: “Community involvement, be it by courage, bravery and/or fancy footwork, helped take a criminal off the streets of Columbus. 0 Response to "See How A Grandfather Helped Police To Catch A Fleeing Armed Man (Photos)"